Our final exploration of the meadows and fields – if possible, the same actual one as in previous weeks – but now we explore the sense of touch… what does it feel like? Including humour in haiku is very difficult, because if it’s overdone it shifts into comic verse, perhaps even side-stepping senryu as well. As a co-founder of a now long defunct online publication called “Haijinx- humor in haiku” which was groundbreaking for its time, I’ve often admired how humour is slotted into haiku without dissolving the ‘haiku’ into something very different. The verb ‘attended’ really makes this haiku, and is helped by the second line adjective ‘unguarded’. They both work in co-operation without pushing the haiku feel out of the poem. It’s wry humor on more than one level, and the word choices are simply terrific! But so is the phrase, because many medicines are derived from nature itself! The humour in this haiku, packed with nature, is also complex. This comment comes probably too late for you to catch, but it is worth a try. I’m very interested to know how to incorporate humour in haiku, and wonder if you can advise me where to find out more about this? I admire George Swede’s type of humour, which, I imagine, is not ‘overdone’, and also John Dunphy’s. I’m concerned that several of my own published attempts at humour may fall into the realm of comic verse, so I need to know the difference, beyond, of course, the demands of more traditional ku. Looking forward to this afternoon’s new selection from Kathy’s wonderful A Sense of Place, and all your useful comments that follow. I also regularly work with people with haibun where humour is part of even very dark subject matter. We need humour in our lives, yet it need not be full in the face humour all the time. Sadly the very journal I helped co-found is unavailable to access, and contained many essays and articles, and haiku after haiku with all types of humour. Please do not be hard on yourself! This is delightful, by the way! I don’t know what traditional ku might mean, and regards haiku, it was brought into being in the 1890s, and has proved itself to be very much a genre, ever evolving. Unfortunately I don’t feel the range of humour is well understood. We suffer from QJS (Quick Joke Syndrome) all too often. The magazine “Failed Haiku” are very fortunate to have this submitted to them. It’s well constructed and I feel sad that we imprison our fellow animal species when no crime has been committed, just for our own pleasure. We also regularly and knowingly wrongfully imprison humans as well. The hamster has no rights or recognition and vulnerable to the whims of shopkeepers and customers. I do love where hamsters are found homes where they have extensive play areas. And too often humans are denied decent freedoms and we still endorse wide varieties of slavery. Okay, not every reader need to read deeply, but I would hope some readers could find at least some sympathy with a vulnerable creature that is bought and sold. I would be interested if you created a haibun response around all of this. thanks for this Sandra, but to be considered, please submit before midnight & use the Contact Form! Erin, please submit using the Contact Form! I absolutely love the Sense of Place series, and the challenges it presents for me (us?). I’ve worked in small, novice writing groups a few times and been challenged to “open up my senses” in describing the world, but never have I been as effectively challenged and inspired in that endeavor as here. So many thanks to Kathy Munro for including me, and for occasionally “helping” me decide which to present. The additional commentaries of Alan and others are incredibly educational for those of us yearning to write better, or more evocative poetry. Thanks to all. thanks so much sharing this – it is wonderful to hear… I have learned so much from this project, & as I have said before, I couldn’t do it without the submissions of poems from all of you… so thank you! thank you, Kathy, I may not say this every week but i do appreciate the effort that goes into making our weekly fix of haiku. i’m also extending my thanks to the friendly community of poets gathered in this place. thanks for sharing this, Polona – & my thanks as well to this community! Thank you, Katherine, for including me again in this worldwide haiku family. What a wonderful workshop in progress! The community building here is a unique mix, including some fellow speculative fiction poets. 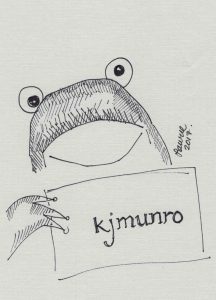 Thank you in particular for the expert commentary from kjmunro and Alan Summers. Hello everyone. Good to be with you again. Thank you kj. I’m up in Asheville, North Carolina for a couple of days. Going to run out in the sunshine that just broke through and touch some hay bales. See what comes up. creative aura. Sweet storage,  we humans in general tend to overlook this aspect. Wonderful  haiku related to  honey bees. There are indeed a lot of “small engines” that benefit the planet, and clear up as best they can after human debris. The humble fly is one such wonder. If flies disappeared in one day, humans would die off in weeks! We hunt insects down, as bees are under attack by governments and corporates, which is outrageous as they have more claim on the planet than the humans. Certainly a lot of respect should be given to all insects, whose invisible work also benefits us. I bought Karen several books on bees, as we are trying to both recognise each type, as well as create a welcome environment. Warm greetings! Beneath the reputed haiku/senryu related poet,a keen bird watcher, friend and environmentalist ,coming out to give us excellent haiku poems ;often his concern/care/ for the insects – perceived here. Kindly convey my regards to  Karen. I have a special place in my heart for honey bees! 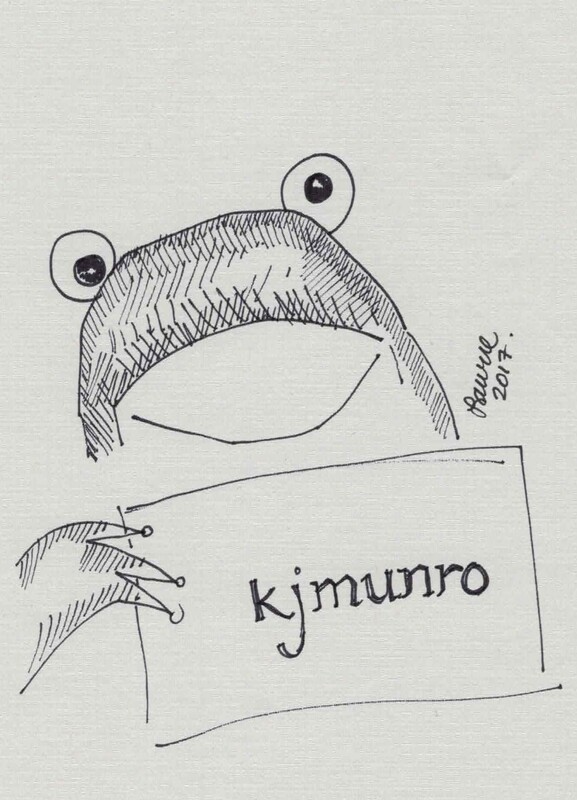 Thank you KJ for including mime! Great haiku! Love those last two lines, and ‘a bit of meadow’ followed by ‘between his teeth’ is priceless and yet so accurately observed. Thank you so much for your commentary, Alan! So glad you liked my poem. Yes, I remember this poem by Karen now. Some youngsters might only know to eat things from supermarkets, while more enterprising ones will know food can be found outside. Sheep Sorrel (Rumex Acetosella) is a popular nibble with children and is familiar to most trampers as a practical thirst-quencher. I was intrigued by the use of ‘lad’ which suggests the author is the boy in question. A hidden clue perhaps. At a time of uncertainly it would certainly be logical to know where and how to eat food in the wild. Some Scandinavian schools encourage interaction and knowledge of the ‘outdoors’ which makes for a more grounded (no pun intended) individual. Yes, this is autobigraphical. It was an early school trip at the end of the school year, I must have been 11 or 12, that I/we discovered sheep sorrel. A thirst quenching tangy juicy stalk of a plant with medical applications going back to the stone age. The class trip took us to some wooded or sanddune area and we took hikes with the whole class through the surroundings. The lad in question was a local farmer’s son who was chewing the sorrel and explained the taste and some of the history to us schoolboys. In more recent and alternative medicine the power of this plant is even ‘tested’ in medicine toward the treatment of cancer. Thanks for your comments and analysis, Alan. It’s always a pleasure to read them and I feel honored that my poem warrented your attention. Ah, lad is probably a good term for a youngster on a farm. City kids meeting farm people is invaluable and there is so much to learn that is different. All good for the brain. It’s not completely an urban myth that children only know milk comes from a supermarket, not a farm, not a cow. Actually the children and teachers were behaving, it was the train management’s fault. I was just a punter waiting for the train as well, at my then home in Bradford on Avon. The trains are often just 2 or 3 carriages, and often not big cars. The teachers sensibly organised a meet up, but it was embarrassing that they were messed about by grown adults at the train management offices, who are always messing with the onboard train staff. Ps. I did think of farm hand but it was probably a farmer’s son. I much prefer the brevity of the term lad. Farm hand would have suggested a young adult, whereas lad could anything from pre to young teen son of a farmer. It is an old term for youngsters but perhaps in keeping with the old practices of independent farms. This was truly my most difficult one to write~  I am thankful you chose one to publish again KJ! Thank you so much. What incredible company to be among. After reading many (with many more to read) I have wonderful imagery filled with many different flavors. Thank you all. Karen and myself love bees! We have mostly Buff-tailed bees and they took over a small bird box this new so that was novel! There are all sorts of bees, we even have Solitary Bees, and Tree Bees. Alan I live east of Salem 14 miles on roughly 24 acres. We have several species of bees some that are aggressive in nature and some difficult to identify. This haiku was referring to the honey bees I watch who forage for food to make delightful honey. Now I  unfamiliar with species of honey bees if there are more than one so I thank you for the resource. My sister and brother in law own The UrbanBee Co.  out of Burien Seattle and the taste of their raw honey is amazing!! Ah, yes, honey or any other product pre-factory packaging is great. I still remember drinking free fountain water for visitors and residents in a famous English village that tasted like Champagne, yet once bottled lost all of its magic. Yes Amy Baranski! My younger sister. She and her husband Bob Redmond have partnered with THEO Chocolates in Seattle using their honey in their mix. Try it sometime! Most of our honey bees are docile and allow me to watch nearby. Thanks a ton for the commentary! Smacking my lips on these tasty haiku. Thao, Kathy, for including mine in this salad. Thao was supposed to be thanks. Kathy, thank-you for publishing mine. Congratulations to all my fellow poets in the meadow. The neat thing about it is that it can be read with the break after Line 1 -or- with the break after Line 2! wonderful – thanks for sharing this, Pat! glad to hear about this respect for the deadline… also – keep writing! thanks Mark! Congratulations everyone, and thanks again Katherine! So pleased you like it! this means a lot to me. ….they are never done. Nor even ever abandoned. The syntax and order of lines is far superior in your original or Ingrid’s version. Far too new at this genre to presume revising anyone’s ku, least of all yours, Laurie! I simply didn’t copy it out properly into the comments, so ‘the spider adds’ in the second line was my mistake. Besides, by inadvertently altering it, each of the three lines consists of four syllables…tut…tut. However, I’m glad this came about because through Alan’s comments, (thank you!) I learned more about syntax in all three versions and the consequent importance of the sound of a poem. thank you Ingrid, Laurie & Alan – this is the kind of exchange I am hoping to cultivate with this column… we can all learn so much by sharing – & we all make mistakes too! I read ‘salt’ the first time through as well – wonderful! Greetings! Lovely to see   all the lovely,delicious  ‘tastes’ Thanks to see mine here. The following by  Sanjuktaa Asopa captures me , my special attention. So many wonderful tastes of the meadow/field. A very beautiful visual, also, that bright blue star shaped flower, gorgeous. The herb of gladness and courage. According to Pliny, Borage was the nepenthe of Homer, a herb wine that brought absolute forgetfulness. Many thanks for including mine, Kathy. I’ve only had jugged hare once, at a venue in Bristol, and I was the only one not sick! Never had it since. Love the monoku though! You have a hearty constitution, Alan. Yes, a luxury indeed, and if the cost of producing food keeps spiralling upwards, along with the extreme changes within our seasons, it will be a ‘once a week’ luxury, once again. As a nation we have great concern when it comes to meat production. We have the highest standards here in the UK, if the time ever comes that we have to rely on cheaper imports, from around the world -and we all look at the price before purchase – I will become a vegetarian. thanks so much for sharing this, Carol – & for your comments, as always, Alan! Your haiku reminded me that the restaurant my father ran and then sold was renamed as Parmigiana. Sadly it was not successful as my father’s restaurant named after Isambard Brunel Kingdom. thank you for submitting, Angela! Thanks, Kathy! It’s so wonderful to read all the wonderful selection of haiku on Wednesday mornings. I appreciate being included! Thanks, Alan! There is nothing quite like that  taste! and the pivot line and pun of ‘still’ is brilliant!!! A very nice turn of words! This brought a smile. Thank you. Thank you Alan, John and Gary.  ! I missed these comments last week or would have responded earlier! I appreciate your feedback and kind words – and am happy it brought a smile, Gary. I shall look forward to reading all the poems once I’ve completed my commentaries on a course. How does a meadow or field taste? An intriguing challenge!